It is something that every driver hopes will never happen, but no matter how careful you are on the road, you may be involved in an accident. In 2014, there were 192,910 reported casualties on British roads; a 5% increase on the year before. This shows that accidents on our roads are a major issue and something that every driver should be aware of. At AYB Law, we’re committed to ensuring that those who are involved in an accident that was not their fault receive the compensation they deserve, so here is our advice for what you should do if you are involved in a car accident. When you are involved in an accident, no matter how severe it is or who caused it, it is vital that you stop. Failing to stop after an accident is an offence under the Road Traffic Act, and you may be prosecuted. Make sure that your vehicle is as out of the way of oncoming traffic as possible. You must make sure that your car engine is turned off, you have applied your handbrake and you have turned your hazard lights on to warn approaching vehicles. If someone has been injured, it is vital that you call 999 as soon as possible and ask for an ambulance and the police. You must also call the police if you have been involved in a hit and run or the accident is blocking the road. If you are involved in a car accident, you are obliged to give your information to anyone else involved, and they must also give their information to you. At this point, you must not accept blame for the accident or apologise until you know what precisely caused the accident. Your priority must be to ensure that anyone who has been injured is taken care of appropriately and that you get all the necessary information from the other party. It is also important to find out if the other driver/s are insured and licensed, as this will impact on your insurance claim and your ability to be awarded additional compensation. Car accidents must be reported to police within 24 hours, as failure to do so is an offence and can result in a fine, penalty points on your licence or disqualification from driving. If a driver leaves the scene without giving their details, call 999 immediately. In a hit and run accident, you will in nearly all circumstances not know any of the above information about the other driver. Information about the driver – gender, clothing, physical appearance etc. Information about the car – colour, make, model etc. Appeal to any witnesses of the accident, as they may have noticed details that you may have missed. Note all this information down and then call 999 immediately. There are additional details that may be vital to your insurance or compensation claim, and therefore you should try to collect as much information as possible about the accident. The next step of the process is claiming compensation, and if you have been in an accident that was not your fault, you may be entitled to a significant payment. If you wish to claim compensation or you require more information about hit and run and MIB claims, AYB Law can help you. For a free assessment, contact us today by calling 0800 0443 495. Accidents Happen – But How Often? We’ve all heard someone utter that fateful phrase, ‘Accidents happen’, usually after someone’s spilt a cup of coffee, or tripped over their own ankles. Here at AYB Law, we don’t just deal with MIB claims and hit and run compensation – we’re also specialists in accident at work claims. Having an accident at work can mean, at best, a sore knee or a bruised lip. At worst, though, it can severely impact on a person’s career and their health. In fact, a serious accident has the potential to ruin someone’s life, often through no fault of their own. So, as solicitors who understand just how debilitating having an accident at work can be, we thought we’d take a look at the facts and statistics surrounding such occurrences. All employers have a legal obligation to carry out proper risk assessments for the workplace as a whole. They’re responsible for ensuring that any potential hazards are dealt with, such as loose flooring tiles or wires that might cause unnecessary slips and trips. Giving employees proper health and safety training so they can carry out their roles safely, is also a factor, as well as providing adequate protective clothing for the job. It also means employers ensure that there are enough first-aiders who are properly trained. Of course, it’s not solely down to employers. 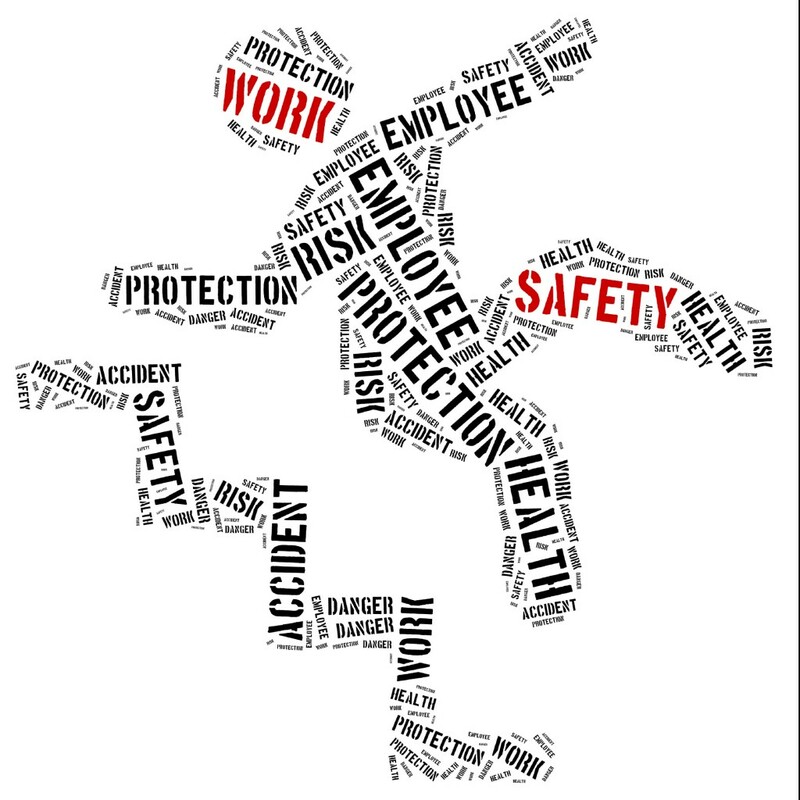 According to the Health and Safety Executive (HSE), employees also have ‘a duty to take care of their own health and safety and that of others who may be affected by [the employee’s] actions at work.’ So all that training your employer has given you must be adhered to, and reporting any injuries, or any concerns you have regarding risks to health and safety. So with laws and regulations in place, just how many accidents in the workplace occur each year? Well, the HSE’s latest figures are from 2013-2014, and give us a fair overview of everything from slips and trips, to handling accidents. How many accidents, in total, do you suppose there was at work during that time-frame? 6? 6,000? Try 629,000. Yep, 629,000 employees reported having an accident at work, with 148,000 of those leading to more than a week’s absence from work. Even with all those laws in place, that’s still a stunningly high number. And saying ‘accidents happen’ to those poor employees probably isn’t going to make them feel better. Of that number, slips and trips – which you’d imagine were easily assessed for risk and sorted – was the most common form of accident, causing 21,585 injuries. The cost to business for poor health and safety standards is also dramatically high. Approximately 4.7 million work days are lost due to workplace injuries, and the total cost to businesses stands at an estimated £800 million a year. Poor implementation of health and safety practices certainly don’t go unnoticed. 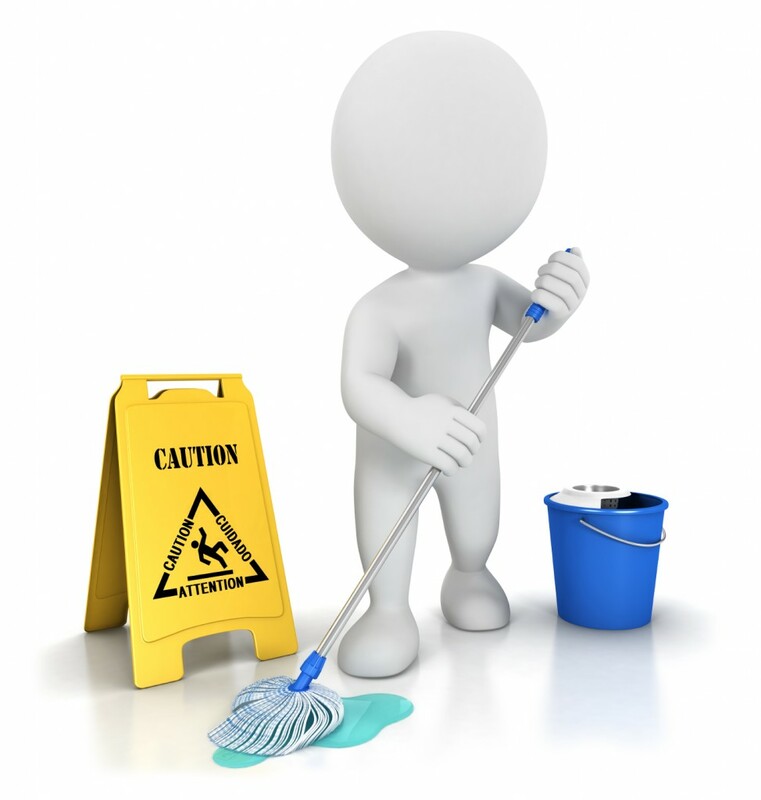 There are numerous agencies who enforce health and safety across the UK. Of course, the HSE leads the charge, but also the local authorities of England and Wales, as well as Scotland’s Procurator Fiscal also try to ensure the maximum safety for employees, while punishing those who wilfully disregard the law. Not all lead to a court case and prosecution – enforcement notices are often sent to employees, a warning shot, if you will, to make sure the company knuckles down with its health and safety obligations. In the UK, 13,790 of these were sent out. But what of those cases which do end up in court? The HSE had phenomenal success, with 551 prosecutions throughout England and Wales. 35 cases were prosecuted by the Procurator Fiscal, and in England and Wales, local authorities were responsible for 88 prosecuted cases. None of this means employers should rest on their laurels – ensuring the health and safety of their employees means constant vigilance. But if you have suffered an injury at work, then we’re on hand to help. Simply contact us on 0800 0443 495 and our experienced and professional team of experts will be on hand to offer sound advice and assist with your enquiries. In Great Britain, you may be surprised to know that, in comparison to other countries around the world, we have quite an enviable safety record on our roads. According to data from a 2011 report from the Department of Transport, there were on average 3.7 deaths on the roads per 100,000 people in the UK; however, road accidents are still a major issue and a great cause of stress, trauma and injury for many people across the country. At AYB Law, we’re committed to helping those who have been affected by road accidents, assisting them with hit and run compensation and MIB claims. Here, we’ll talk you through the leading causes of road accidents, as well as how to protect yourself and, if necessary, claim compensation. In the UK, careless or aggressive driving is one of the leading causes of road accidents, many of which are fatal or cause life-changing physical and psychological injuries. Typically, uninsured drivers will be less careful when driving on our roads. It’s important to remember that these drivers are breaking the law and the vehicle may not even belong to them, therefore they will feel little or no obligation to take care when they’re behind the wheel. Hit and run drivers are also careless, and even aggressive, especially when such incidents are caused intentionally. They escape the scene with the intention of evading an investigation or prosecution from the police, and therefore are less inclined to drive carefully and responsibly. If you’ve been a victim of careless or aggressive driving in these circumstances, you’re entitled to compensation. In cases where a driver is uninsured, the Motor Insurers’ Bureau (MIB) can process claims and provide financial compensation for damages and injuries caused. Specialist compensation is also available for victims of hit and run accidents. Driving under the influence of alcohol, some medications or illegal drugs seriously impairs your judgement and your ability to drive. In England and Wales, it’s against the law to drive with a breath alcohol level of 35 microgrammes/100 ml of breath, or a blood alcohol level of more than 80mg/100ml of blood. In Scotland the law is even stricter, with drivers facing prosecution if found to have a breath alcohol level higher than 22 microgrammes/100 ml of breath, or a blood alcohol level of more than 50mg/100ml of blood. It’s illegal across the UK to drive under the influence of illegal drugs or medications that impair driving. If you’re unsure as to whether you can drive on your medication, consult the leaflet provided or discuss it with your pharmacist. Driving while intoxicated is one of the leading causes of road accidents in the UK, and due to the legal implications, many of those who know they’re over the legal limit and are involved in a road incident will be inclined to attempt a hit and run. If you’re involved in an accident where the other driver is intoxicated, you’re entitled to compensation. You can either claim through your insurer or, if the driver was also uninsured or escaped the scene of the incident, you can claim specialist compensation. Although British roads are, at least compared to the rest of the world, quite safe, there are still many incidents caused by irresponsible drivers. If you’ve been in an accident that wasn’t your fault, you may be entitled to compensation. For more information, visit our website today or contact us by calling 0800 0443 495 for a free assessment. Can Technology Help to Improve Road Safety? Automotive technology has made numerous advances over the past few years, with car manufacturers introducing wireless phone calls, voice commands and computerised systems to their newer models. However, these advances may no longer be solely for the sake of entertainment and convenience, but may actually work to improve road safety. Earlier this month, Volvo announced that their new pilot scheme could in fact change the way we consider the safety of Britain’s roads. What does the Technology involve? Volvo has developed a brand new way of considering and dealing with road safety. Its pilot will be launched with a thousand of its XC90 cars in Norway and Sweden, both countries of which suffer from adverse and extreme weather conditions. This new, innovative technology is designed to increase the safety of drivers and passengers by uploading information about treacherous conditions to the ‘cloud’. The XC90 cars with the pilot software will use sensors embedded into the vehicles to transmit information about road issues and conditions back to a universal information system, also known as ‘the cloud’. This information will then be relayed back to other drives through a warning, which will caution them about conditions such as slippery or icy roads. As well as this, Volvo will also send the information to local and road authorities, allowing them to receive advance notice of any conditions that may require their attention or action. This is intended to save time; particularly where conditions could cause accidents and potentially cost lives. This new technology is part of a wider project that Volvo is developing, which is focused on what it has named ‘connected safety’. Volvo sees this as the future of the automotive industry, and the company is making further developments to use its technology to refine their ambition for increased safety on the roads. By using this wide network of anonymous road data sharing, alongside other computerised in-car technologies, Volvo believes it can strongly benefit society and ultimately save lives on the roads, as well as revolutionising the way we drive. There are other proposed technologies that are also part of this idea of ‘connected safety’, one of the most prominent being the use of ‘smart’ traffic lights, which would be able to improve traffic flow, as well as be able to come up with accurate traffic diversions based on alerts from the ‘cloud’ about traffic jams, worsening conditions or accidents. This idea of ‘connected safety’ could be the future of road safety, but the difference this technology could make in real life is debatable. How much of a Difference can this Technology Make? These technologies could prove to be highly successful in terms of accident prevention on the roads; particularly in those incidences where accidents are caused by adverse weather conditions or slippery road surfaces. However, we must consider that accidental incidents on our roads are not the only ones that cause serious injury and threaten life. Indeed, although this technology will benefit many people in everyday circumstances, this technology would not help victims of hit and run and otherwise intentional road incidents. What other Technologies Could Increase Road Safety? There are other automotive technologies that are currently in development which, if successful, could greatly increase road safety. One of the most well-known projects that is currently in development is the Google Self-Driving Car, which could potentially eliminate intentional road accidents by keeping controls steady and in line with legal restrictions, as well as decreasing accidental deaths caused by factors such as drivers breaking speed limits. Technology could indeed revolutionise the way we think about road safety, however the impact that these technologies will make in reality remains to be seen. If you have been a victim of a road accident and require hit and run compensation, AYB Law can help you get the compensation you deserve. For a free assessment, contact us today by calling 0800 0443 495. Perfervid readers of our blog will remember, back in November, that we highlighted the global problem of hit and run accidents. Road collisions, whether between two drivers, or a vehicle and a pedestrian are a blight on every continent – and it doesn’t help when there are roads out there like the ones we’ll be checking out in today’s blog. Yep, today we’re going to go global and look at some of the world’s most dangerous roads. At a time when, in the UK, only a quarter of road tax is actually spent on maintaining roads, it’s worth casting our eye at roads which, with a little investment, even a quarter of road tax, might make them many times safer. Want to make the journey from Vladistok to St. Petersburg? Then you’re going to need a decent car with a full tank of gas, and plenty of courage. The road stretches for a frankly incredible 6,800 miles – built by gulag inmates – and is basically an impassable dirt track. Even fearless adventurers would balk at having to drive along Pakistan’s Fairy Meadows Road. Not only does it snake around the side of a cliff, but it’s a high-altitude, rocky, unstable dirt track that can cause serious issues for drivers. There are tons of reasons why the trip from the ancient Luxor to Hurghada is a risky business – although you wouldn’t think it to look at it. Sure, it’s paved, and there are signs along the 218 miles of road. But beware, it’s bandit country. That’s why at night, most drivers don’t use headlights. They don’t want to be ambushed, but it also means you won’t see their car until the crash. Know what Bolivia’s North Yungas Road is known locally as? ‘Death Road’. And that’s not a clever nickname. It’s a 40-mile, single lane cliff-top trip which has, on average, around 250 deaths every year. Not only that, but the fog and rain can impede a driver’s vision – which won’t end well. Despite how dangerous these roads are – for many different reasons – often it’s less about the road, and more about the reckless driving of others. Meanwhile, back in the UK, there are safeguards in place should you be struck by an uninsured driver. The Motor Insurer’s Bureau, a non-profit organisation acting under regulations from the Government, offer MIB claims. That means those unfortunate to be in an accident with an uninsured party can still receive compensation. If you find yourself in such a position, or know someone who is, we’re on hand to help. 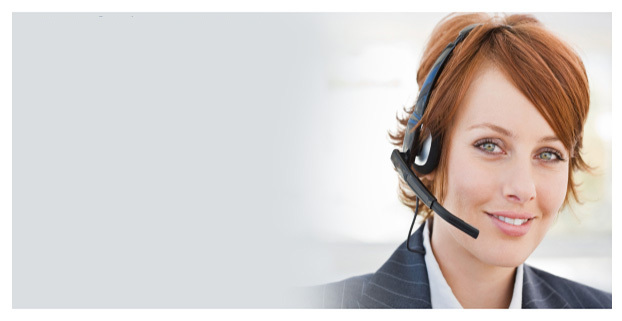 Simply contact us on 0800 0443 495 and our expert team will be delighted to assist with all of your enquiries. There are plenty of people out there who suggest that playing violent video games leads to real-life violence on our streets. Of course, there have been plenty of studies which directly disprove this. In fact, for the ultimate proof, simply look out of your window. The military shooter franchise Call of Duty has sold literally millions of video games, so by that logic, millions teens should now be engaged in violent warfare in the suburbs. However, can the same be said for racing games, where speed is a premium virtue? Racing games are, of course, another form of power fantasy, with video game players encouraged to go flat out, make dangerous manoeuvres, and do whatever it takes to win. At a time when hit and run accidents hit the headlines each and every day, it’s certainly worth looking a little closer at whether or not there’s a link between playing racing games and reckless driving. And researchers in America certainly agree. Back in 2012, Hull and Draghici published their study into the link, called ‘A Longitudinal Study of Risk-Glorifying Video Games and Reckless Driving.’ While the study is careful to note that there appears to be an association, as opposed to a direct link between cause and effect, it still makes for interesting reading given the number of car accidents we see each year. The study took a colossal three-and-a-half years to complete, with 6,522 adolescents, aged between 10 and 14, questioned every eight months about a range of topics. So far, so standard, you might think. However, the crucial stages of these interviews happened during the third and fifth rounds. In stage three, respondents were asked about their video gaming habits. Specifically, they were asked whether or not they played the games Spider-man II, Manhunt and Grand Theft Auto III. 16 months later, in the fifth round of questions, participants were queried over whether or not they felt comfortable drinking and driving, as well as how many times police pulled them over while behind the wheel. Here, the doctoral psychology students cross-referenced the answers from the third and fifth stages of questioning. The results were, frankly, astounding. While those who only played Spider-man II showed no negative effects, GTA and Manhunt gamers did reveal that they tailgate other drivers, speed, weave and cross double yellow lines far more than most. For instance, participants who claimed to have played the brutal survival horror, Manhunt, were twice as likely to cross over double yellow lines when in the car. And players of Grand Theft Auto III were even worse when it comes to risk-taking behind the wheel. Not only were they precisely 1.7 times more likely to get pulled over by the police, they were also twice as likely to admit to tailgating. Of course, it always begs the question: does someone drive fast because they like to play racing games, or do they play racing games because they enjoying driving fast. While it’s not a comprehensive, irrefutable and conclusive report – for starters, the study relies on absolute honesty from those questioned – it should certainly open a few eyes. At a time when video games are fast becoming the ultimate medium (the average age of a gamer is now 34 years old) and reckless driving can seem worryingly high, Hull and Draghici’s study begs for further research into the topic. While all of this might lead to preventative measures in the future, it’s of scant comfort to those who’ve already suffered in a hit and run accident. 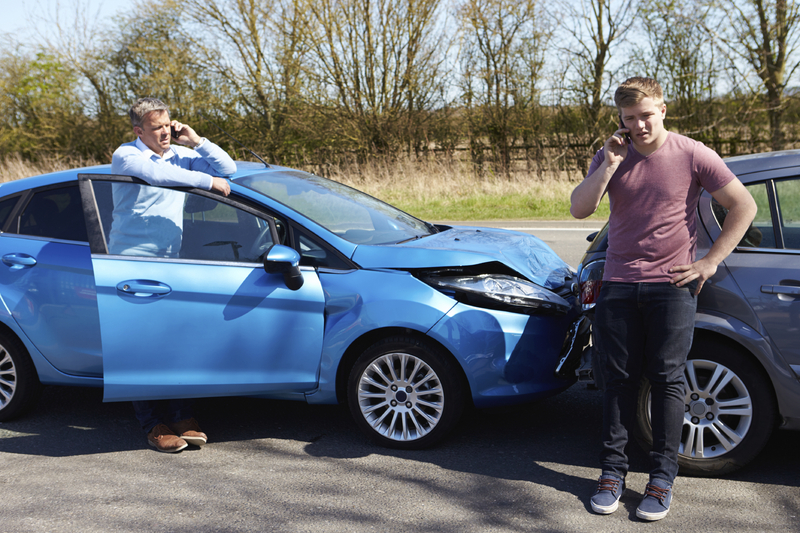 If you, or somebody you know, have been involved in an accident with an uninsured driver, then you could be eligible for compensation through the Motor Insurers Bureau. Government-regulated MIB claims can deliver compensation when you’re hit by an uninsured driver. For more information, please don’t hesitate to contact us on 0800 0443 495 and our dedicated team will be happy to assist with all of your enquiries. At AYB Law, we fully support the Motor Insurers’ Bureau (MIB) in its ongoing work to compensate victims of uninsured, negligent drivers. Recently they’ve issued a warning that we would like to highlight for all of our valuable clients. MIB have been made aware of a cold call scam in which scammers attempt to take advantage of vulnerable people by misleading them into thinking they are being contacted by MIB. The term ‘cold calling’ essentially refers to an unsolicited visit or phone call, and is often a tactic used by scammers to try and receive personal information from vulnerable people. You’re likely to have experienced cold calls that, for example, ask you if you have been mis-sold Payment Protection Insurance (PPI) or telling you that you’re eligible to receive a boiler or similar items for free. While some cold calls are made by legitimate businesses, others are not. It’s important to be aware of what to look out for, in the event that you receive a cold call, to prevent yourself from being scammed. The MIB scam attempts to manipulate victims of road traffic accidents into giving out personal information in misleading circumstances. MIB have been informed that scammers are cold calling people pretending to be calling on behalf of the Motor Insurance Bureau. They may say they have received their contact information from the Motor Insurance Database. Of course, MIB will occasionally have to contact people in regards to their application for compensation. These details will help you distinguish whether or not you are receiving a genuine call from MIB. When receiving a call, it’s important to trust your instincts. If something doesn’t seem right, note down as much information about the call as you can and then hang up. Don’t give any of your personal information to the caller. These scams are stopped when the authorities can gather enough information about them. If you’ve received a phone call claiming to be from MIB that doesn’t seem genuine, please report the issue using one of the forms recommended by MIB. At AYB Law, we’re passionate about protecting vulnerable people and getting them the compensation they deserve while also ensuring that they aren’t taken be scams that take advantage of road accident victims. If you require hit and run compensation, we can help you get the payment you are entitled on a no win, no fee basis. Contact us today on 0800 0443 495. Hit and run accidents can be very traumatic both emotionally and physically. There are many injuries that can be suffered, and if you’ve been involved in a hit and run accident, it’s important to know if you may be suffering from these injuries, as you may be entitled to hit and run compensation. So let’s take a look at the most common injuries caused by hit and runs. 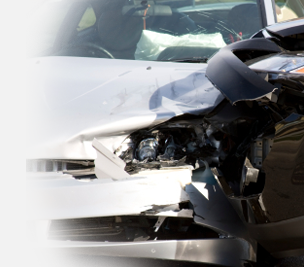 One of the most common injuries suffered in any road accidents is those to the brain and head. A sudden collision can cause drivers and passengers to hit their head against dashboards and other hard surfaces in the car, potentially causing head trauma. These injuries can range in severity. This is dependent on the extent of the damage to the affected area, and how hard the impact was. Even if there’s no visible sign of trauma, such as bruising and cuts, the brain may have been jostled inside the skull on impact, which may have caused internal bleeding or swelling of the brain. Because of this, it’s important to see a doctor immediately after the accident, and return if symptoms such as severe headaches, memory loss, disorientation and visual problems persist. Other injuries that are commonly suffered in these incidents are to the neck. In milder cases, victims can often suffer from whiplash, which causes neck and back pain, headaches and pain in the shoulders. In more serious cases, a victim may suffer from cervical dislocation or a disc injury, which will require a lot more medical attention, and may also require surgery and physiotherapy. If a car has been hit from the rear, injuries to the spinal cord and back are also particularly common in hit and run incidents. Back injuries from road accidents are often isolated to the lower back, and can include sprains, herniated discs and fractured vertebrae. These injuries can be very painful and limit mobility, which can unfortunately be long-term. These injuries may also take time to appear after an accident, so it’s important to go to the doctor as soon as symptoms appear. Damage to the spinal cord occurs when displaced bone fragments, disc material or ligaments bruise or tear into spinal cord tissue. The results of these injuries can vary, but unfortunately can result in loss of movement or feeling, and can even cause a permanent disability. There are many things that can cause facial injuries in a car accident, including steering wheels, dashboards, airbags, windows, car seats and shattered glass. These injuries can range from simple cuts and bruises, to laceration and fractures and even serious disorders affecting the jaw and dental injuries. Some facial injuries may require cosmetic reconstruction or surgery, as well as long-term dental supervision. These can be costly if they’re not considered eligible for NHS funding. Internal injuries can be the most life-threatening injuries suffered in a road accident, and can also lead to long-term health issues. Fractured ribs are the most common cause of internal injuries in car accidents, as they can puncture lungs as well as damaging other organs. Internal injuries that are suffered in road accidents include damage to bowels, kidneys, the liver, lungs and the heart. These injuries can range in severity, but all require immediate medical attention, as they can have serious complications and can even cause death. After these accidents, particularly in more severe accidents where there has been serious injury or loss of life, it’s quite common for those who were involved to suffer from some form of psychological injury. One of the better known psychological injuries that’s suffered in these cases is known as Post-Traumatic Stress Disorder (PTSD). Victims diagnosed with PTSD can suffer from vivid flashbacks, intrusive thoughts, nightmares, intense distress and intense physical sensations, such as sweating, shaking and nausea. Those involved may also suffer from heightened anxiety, panic attacks, depression and emotional distress. If you’re suffering from any of these symptoms, it is important to see your doctor. Charities such as Mind also provide support for those with psychological injuries and disorders. If you believe you’re suffering with any of the above injuries, you may be entitled to compensation. We at AYB Law pride ourselves on offering professional legal services to those in need, and offer excellent legal representation on a no win, no fee basis. For a free assessment, contact us today on 0800 0443 495. Combating motor insurance fraud is a big thing in today’s world. There are plenty of ways to do it, but new and more innovative solutions are always being debated. Obviously, we have a massive advantage in the modern world when compared to bygone days, as we’re able to call upon a great deal of technology to help identify uninsured drivers, and that’s exactly what a brand new system named ‘MyLicence’ has been developed to do. The Motor Insurance Bureau was set up to both crack down upon uninsured driving and compensate those who had been wronged by such a driver, and so it should come as no real surprise to find that they’ve had a large hand in the creation of MyLicence. The Driver and Vehicle Licensing Agency is the other partner in this collaboration, and the result is a data-sharing service that will, in theory, be able to make a huge difference when trying to prevent fraud. According to The Courier, the idea of this data-sharing service is that the insurance industry will be able to access information relating to a driver’s records far more readily than they could do at present. Indeed, this is just one part in an ongoing plan to digitalise as much insurance data as possible to make a difference to the problem of insurance fraud. Clearly, such a step will be a welcome one, as, at present, one quarter of all motorists fail to make their driving records known. It’s possible that some genuinely honest motorists may object to the rigid efforts that are being imposed to dissuade insurance fraud, as such restrictions and ‘red tape’ can make ordinary life difficult, but the Transport Minister, Claire Perry, has reassured such individuals that they have nothing to fear. Perry states that “MyLicence is good news for motorists and good news for the motor insurance industry’, pointing out the fact that insurance premiums should actually begin to reduce as a result of the more accurate information. Only time will tell whether this new way of doing things will make a big difference to the problem of regulating car insurance, but here at AYB Law we’re already doing our bit by allowing the wronged parties to pursue MIB claims to gain a measure of just compensation. We’ve been carrying out such processes for many years, and have a proven track record for success, so contact us now by calling 001772 250605 or 0800 0443 495 to find out more. At AYB Law, we deal with an awful lot of MIB claims on a weekly basis, and that’s because the problem of uninsured drivers is such a prominent one. The Motor Insurer’s Bureau has been working to crack down upon the numbers of uninsured vehicles for a very long time, but ever since a change of rules three years ago they have been especially active. So active, in fact, that they have recently passed the 2 million mark in terms of the letters that have been sent out to warn uninsured drivers. 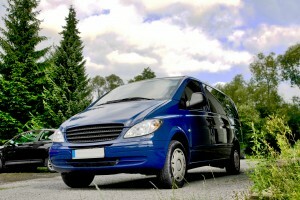 When Does a Vehicle Need Insuring? 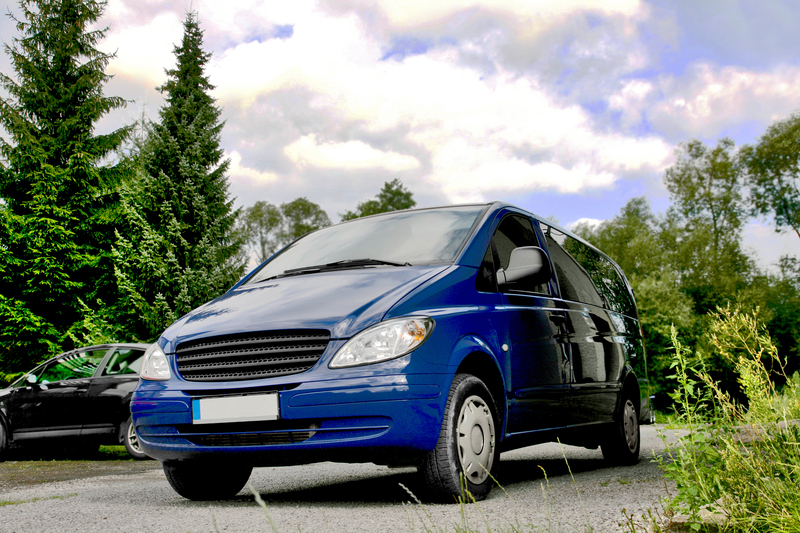 Unless a vehicle has been officially declared as ‘off the road’, there is a legal requirement for it to be insured. Even if a vehicle is sat on a drive, that is no excuse (unless it has been cleared as ‘off the road’). People who neglect to insure their vehicles according to this requirement are the reason why the Motor Insurer’s Bureau sends out around 60,000 warning letters on a monthly basis, and around a third of these letters result in some sort of fixed fine being levelled at the guilty party. According to This is Money, the possibility also exists for uninsured vehicles to be clamped, seized or destroyed, and at this point around 6,000 people are prosecuted each month. That’s a huge number of people, to say the least, and goes some way towards showing that the problem of uninsured drivers is really being tackled in earnest. The new and more rigorous measures against uninsured drivers were introduced to combat the fact that some 130 people are killed by such drivers every year, along with several thousand injured, but they haven’t solved the problem completely. Many drivers continue to attempt to avoid paying insurance for various reasons. Appeals based upon infrequent, seasonal and extremely localised usage are all fairly common, but they are unlikely to prove very effective. The fact is that insurance is in place for a reason, and indeed it only needs to be as high as it is because of problems like uninsured driving. Efforts to dodge insuring a vehicle are therefore going to be in vain, and rightly so, as protection needs to be in place for when accidents occur. However, rest assured that justice can be served even in cases where the perpetrator in an accident has no insurance, as the team at AYB Law has years of experience when it comes to successfully dealing with MIB claims. If you’ve been involved in such an accident, then we can help, so call us now on 001772 250605, 0800 0443 495 fill out our online contact form to find out more.